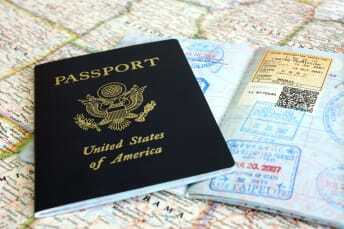 The United States may not have royalty, but that doesn't mean we're above being kings and queens of our own domains. While none on this list were constructed to ward off enemies nor may ever have had knights feast in their halls, they are nonetheless grand, regal, and America's own. 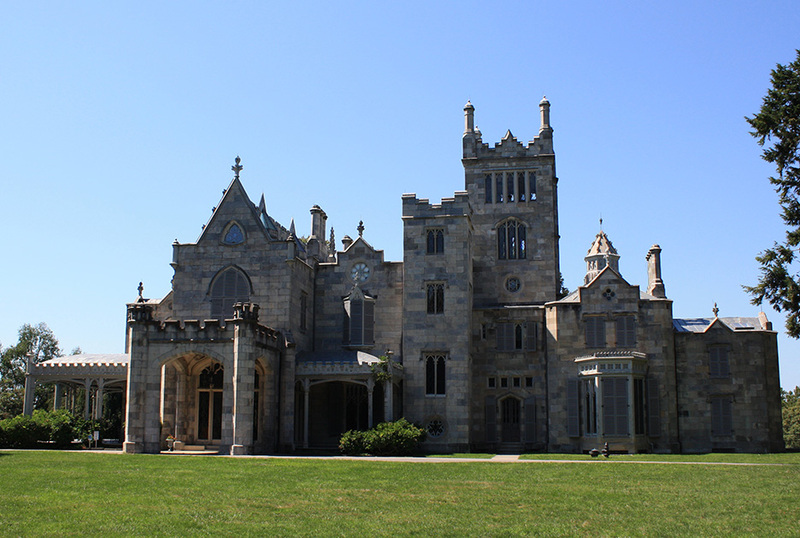 Having made a mint in the sugar refining industry, William Welsh Harrison contracted ambitious 23-year-old architect Horace Trumbauer to build him a castle. In 1893, Harrison handed over a fortune so Trumbauer could transform his fire-damaged home into a towering homage to the Alnwick Castle of Northumberland, England. The French Renaissance inspired its interior ornamental plaster panels and ornately hand-carved woodwork, made by local craftsmen. Other décor was inspired by the luxury of Louis XV. Massive halls were draped in elaborate tapestries and murals. All these touches made for a home that was as unique as it was astounding. Upon completion in 1898, Grey Tower Castle was one of the biggest homes in America, boasting 40 rooms. Harrison lived there happily until his death in 1927. 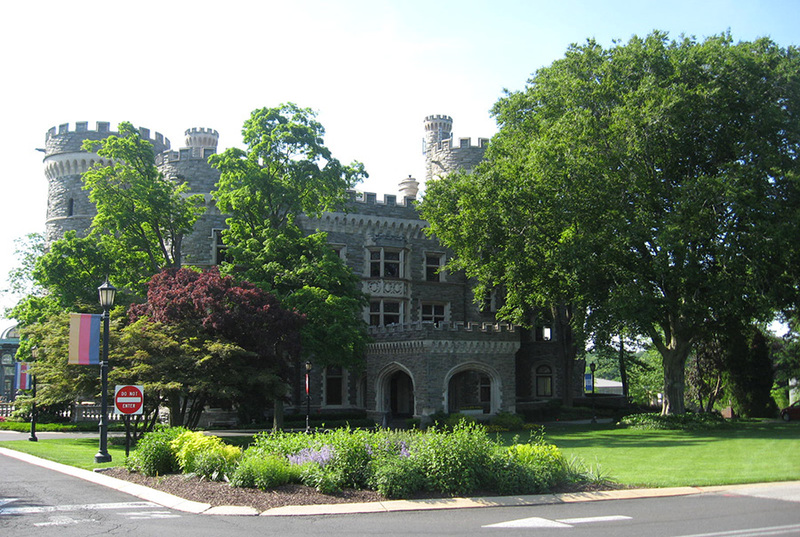 Two years later, Arcadia University (formerly Beaver College) purchased the opulent home, which is used for freshman dorms, lectures, and hosting special events. Known as "The Father of Remote Control," John Hays Hammond, Jr. cared greatly for three things: his bride, his work as an inventor, and his collection of Roman, medieval, and Renaissance artifacts. 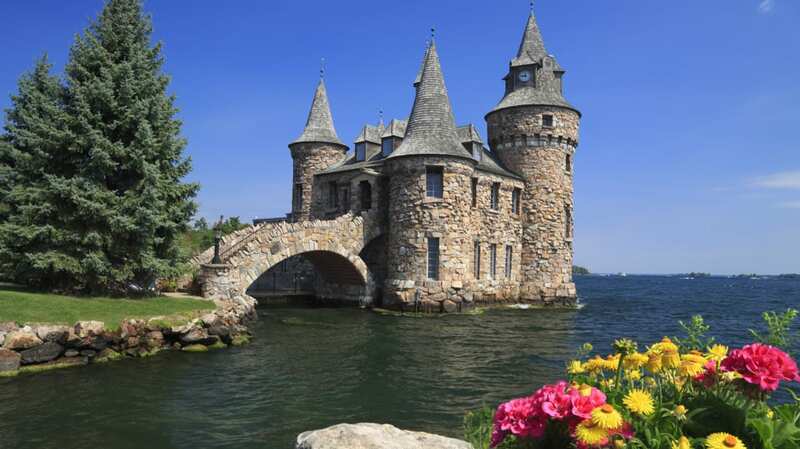 This trifecta of devotion inspired him to have a castle constructed on the New England coast in 1926. 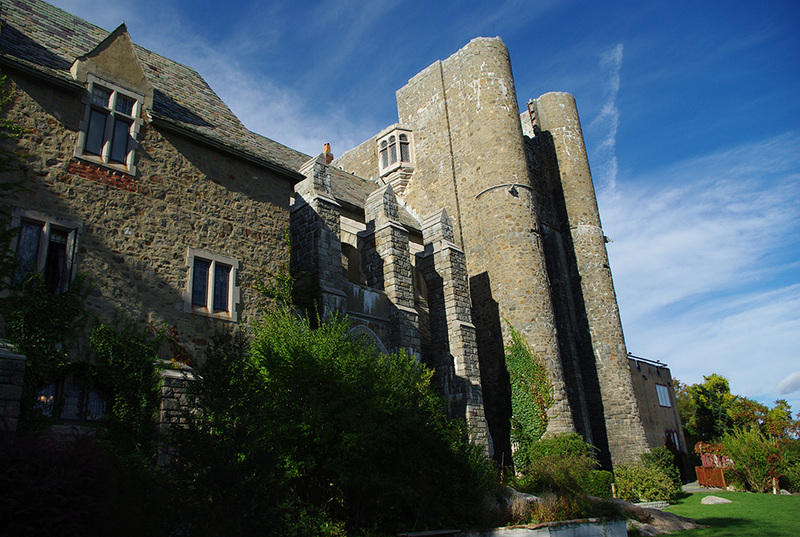 Hammond Castle was a wedding gift for his new wife, Irene Fenton Hammond. Its medieval architecture was a suitable setting for his impressive collection, while leaving plenty of room for his laboratory. Some of the more curious details of the household include a two-story medieval meat and wine market modeled after a building Hammond spotted in southern France, and a custom-made stained glass Rose Window that overlooks the Great Hall and its pipe organ. Some say there are even secret passages carved within its stone walls. Another palace built for love was the Boldt Castle on the Saint Lawrence River. George Boldt was a Prussian immigrant and self-made millionaire who was desperately dedicated to erecting the perfect summer home for his wife, Louise Augusta Kehrer. Tragically, the 120-room Rhineland-style estate was mere months from completion in 1904 when Kehrer abruptly died. Boldt was so heartbroken over this loss that he abandoned the project completely. He never remarried, and followed his beloved in 1916. Decades passed and only harsh winters, cruel winds, and vicious vandals visited Boldt Castle. 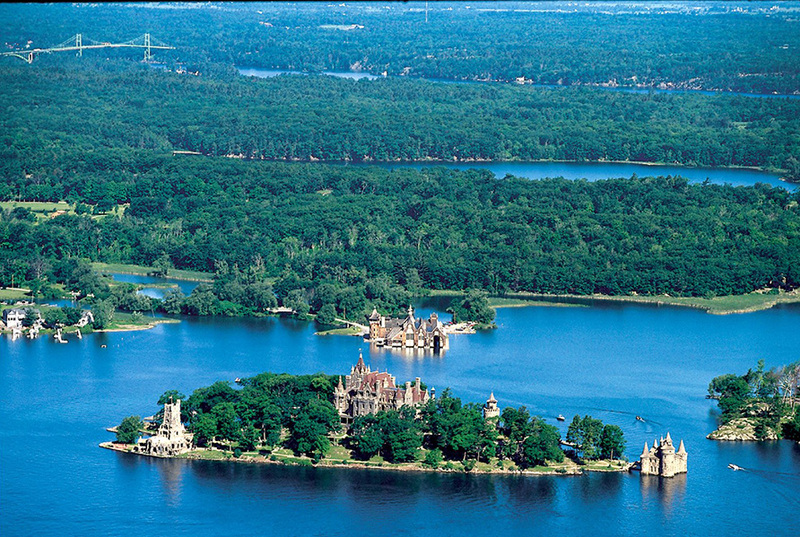 Then, in 1977, Thousand Islands Bridge Authority acquired the whole 5-acre island and its castle, under the condition that all revenues from the space would be applied to its restoration. Since then, Boldt's dream has been realized, with much love and money put to making his palace a dream destination. Acclaimed architect Alexander Jackson Davis created this awe-inspiring home for New York City mayor William Paulding, Jr. in 1838. Designed in a Gothic Revival style, it contains narrow hallways, vaulted ceilings painted with gold-flake stars, and dramatically arched windows. 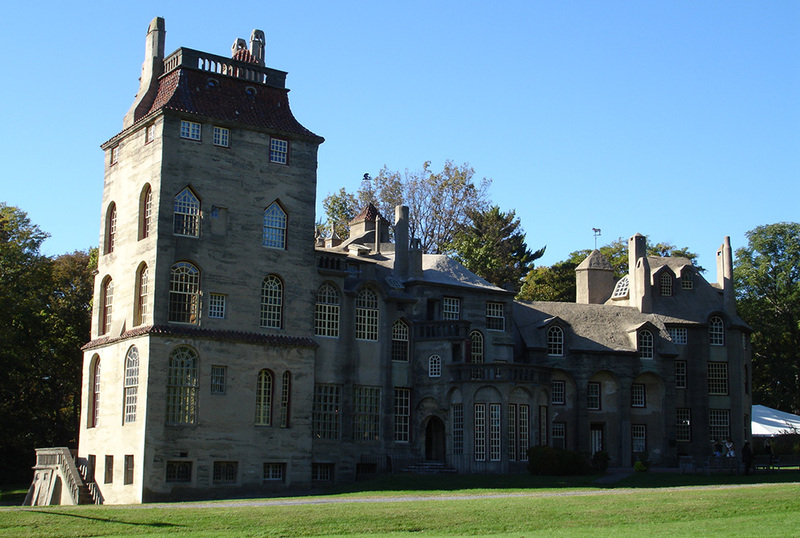 Davis's employment of whimsical turrets and an asymmetrical silhouette on the exterior broke from the standards of contemporary homes, spurring critics to snidely dub the place "Paulding's Folly." The estate would undergo several overhauls in the coming decades, first at the hands of its second owner, businessman George Merritt, who doubled the size of Lyndhurst in 1864-1865. Fifteen years later, railroad mogul Jay Gould bought it, and his eldest daughter Helen made it her mission to keep the castle and its rolling lawns in pristine shape. 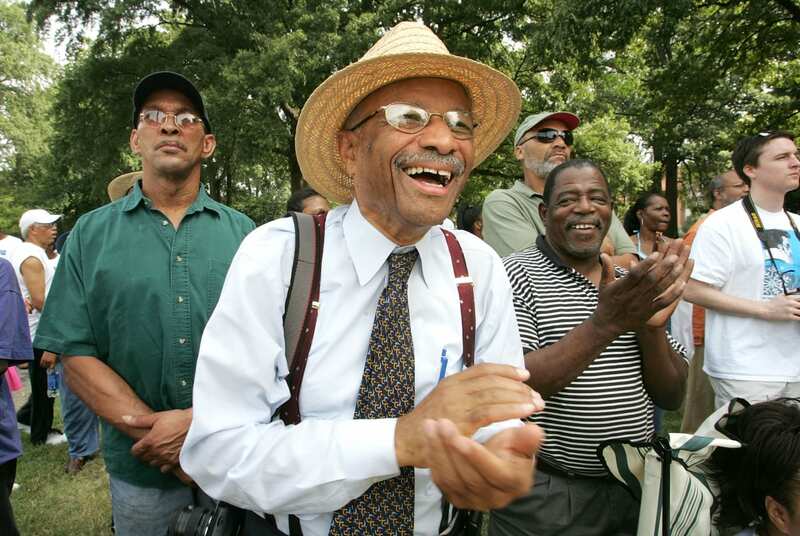 By 1966, Lyndhurst was designated a National Historic Landmark. Since then, films like Night of Dark Shadows, House of Dark Shadows, Reversal of Fortune, and the 2014 fantasy-romance Winter's Tale have utilized the luxurious location. Enjoy a virtual tour of its elegant interiors here. Industrialist-turned-archaeologist Henry Mercer was not only an ardent fan of ceramics, but also a tile-maker in his own right. Determined to make his home an extension of his artistic passion, he designed his castle with a mix of medieval, Gothic, and Byzantine architectural styles. Completed in 1912, the 44-room home that boasted 200 windows was a perfect backdrop for his collection of Moravian tiles from the American Arts & Crafts Movement. But Mercer wanted to be sure the castle's unique vision and his legacy would be maintained after his death. His will entrusted the place's upkeep to his housekeeper, Laura Swain. It also requested that his "Castle for the New World" be transformed into a museum. Swain did her best, and even offered tours until she passed in 1975. The Bucks County Historical Society took on Swain's responsibilities in 1990. Officially a National Historic Landmark, Fonthill Castle welcomes over 30,000 visitors a year to peruse Mercer's marvelous collection. Though much smaller than many of the castles on this list, this is the only American palace to have housed real royalty. King Kalakua and his sister and successor Queen Kapi'olani decided their line needed a majestic castle to properly project their status to foreign dignitaries. 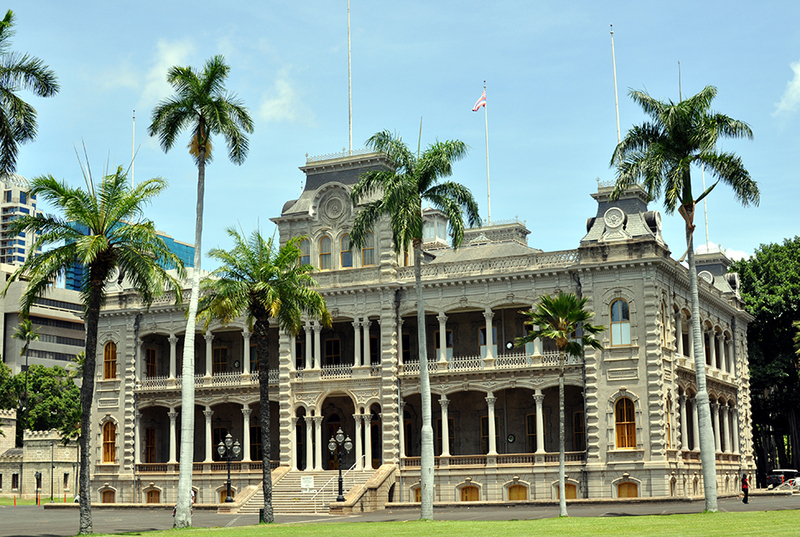 On December 31, 1879, construction began on Hale Alii (House of the Chief), the structure that would later be known as Iolani Palace. But that building fell into disrepair by 1874, and was razed to be replaced by a bigger, better palace, complete with a throne room, grand hall, private suites, and such modern amenities as indoor plumbing. A few years later, Iolani Palace outpaced the White House, getting electricity and telephones first. But all these advances were little comfort to Hawaiian monarch Queen Liliuokalani when her palace became a prison in 1895, after a coup led to her capture. Her throne room became the courtroom of her condemnation. Her private suite became her cell. Many of the Iolani Palace's treasures were auctioned off by the post-coup Provisional Government. Today, benefactors are attempting to recover these artifacts. But even without them, the restored Palace is a major point of pride for the island. Smack dab in the heart of Manhattan hides a small castle that's a must-see for sightseers. Its name translates to "beautiful view" in Italian, belying its initial intention as a observation deck overlooking Central Park's the Ramble and a pond populated by turtles. Calvert Vaux and Jacob Wrey Mould designed this cityscape castle in 1865 as a Victorian Folly, a fantastical structure meant for no purpose beyond its beauty. 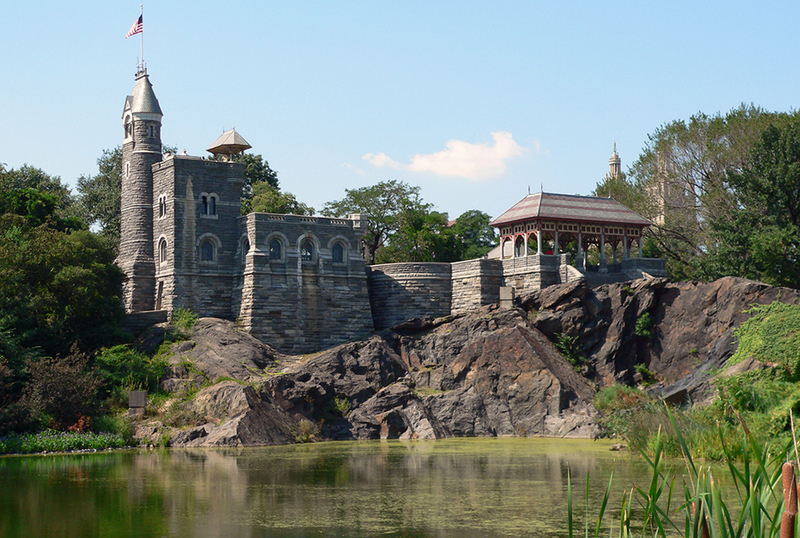 In 1919, Belvedere Castle went from folly to functional when the National Weather Service gave it a makeover so they could measure wind speed and rainfall. A 1983 renovation added a small visitor's center, and it still thrives as a popular stop for tourists and locals alike. 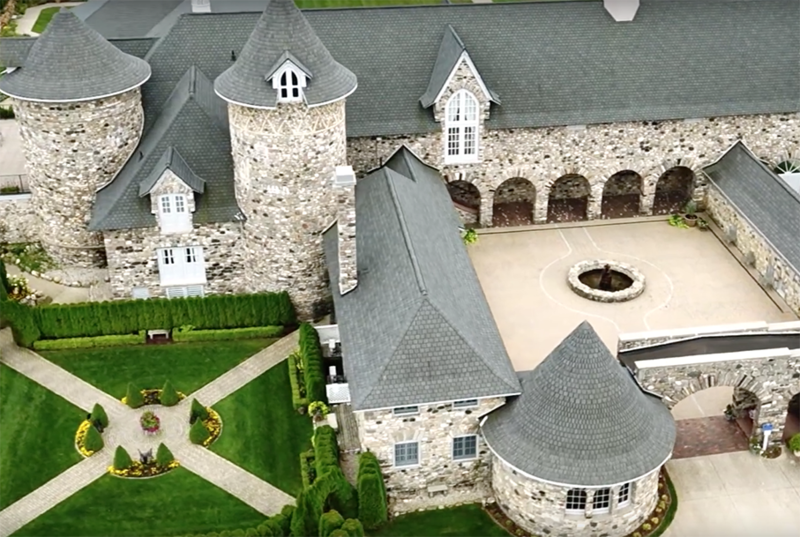 Looking to showcase livestock and Sears' farming equipment in a phenomenal fashion, the department store's Vice President Albert Loeb used a French Renaissance chateau as inspiration to build this gorgeous stone castle in 1918. Through the '20s, its dairy's products were a delight to locals attending games at the nearby baseball stadium. Nine years later, Sears shuttered the 1600-acre Loeb Farm and used it for storage until 1965, when it was converted into an art studio by abstract artist Jon Van Haver, and dubbed Castle Van Haver. Four years later, the castle was refashioned as a concert hall, which would play host to acts like AC/DC, Aerosmith, Bon Jovi, Ozzy Osbourne and the Doobie Brothers. In 2001, medieval art enthusiastic Linda Mueller purchased the place and spent four years renovating Castle Farms. 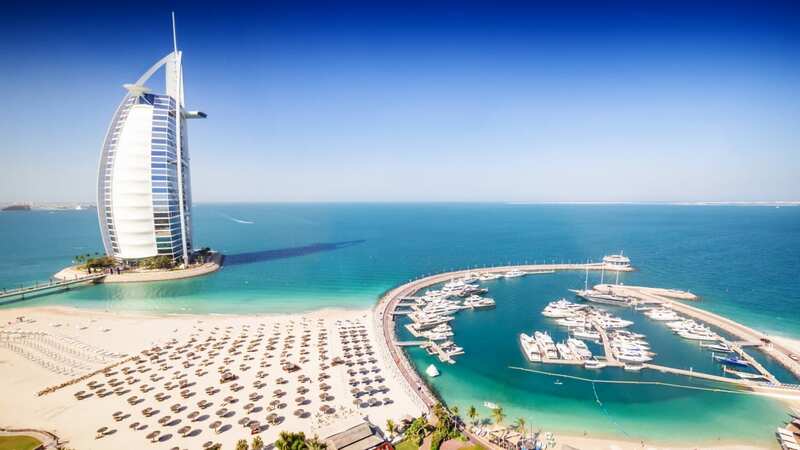 She transformed it into a tourist attraction where visitors might learn about the medieval culture that so inspires her, or hold galas, weddings, and other events befitting its regal staging. 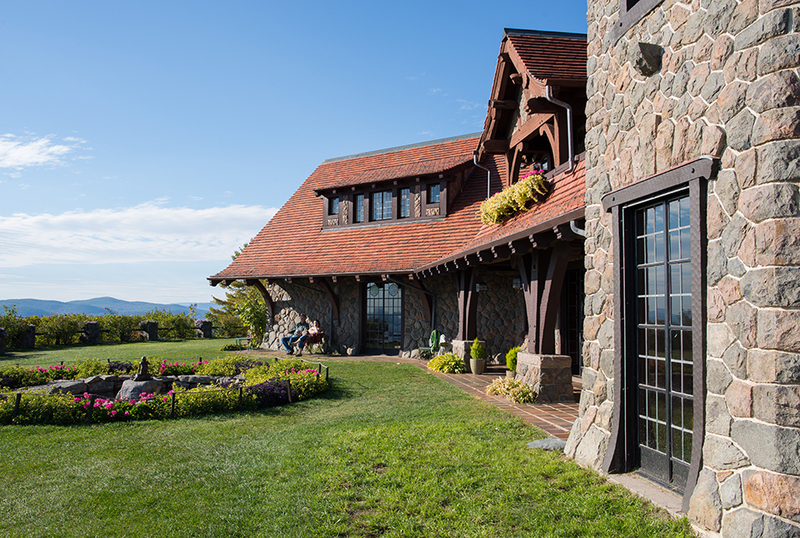 Built in 1913 for retired shoe tycoon Thomas Gustave Plant, this 16-room estate is perched on the Ossipee Mountains, overlooking some of the woods and lakes that made up a portion of Plant's 6300 acres. Originally named Lucknow, the house was built in the Arts and Crafts style. Details like a jigsaw kitchen floor tiles, a circular shower, brine fridge, and a central-vacuuming system made his castle fantastical and functional. Though Plant's fortunes took a downturn in the 1920s and the Great Depression, he lived in his castle until his death in 1941. Fifteen years later, brothers Richard and Donald Robie bought Lucknow, opened it to the public, and rechristened the place "Castle in the Clouds." Castle Springs bottled water and Lucknow Brewery would later be founded on the land once owned by Plant. Finally, in 2006, the Lakes Region Conservation Trust took over the castle and much of its land, preserving both as a spectacle for New Hampshire tourists. The only one on this list that boasts a drawbridge and moat, this 13th-century Tuscany-styled castle includes such authentic medieval details as hand-chiseled stone, hand-painted frescoes, and a 500-year-old fireplace. It's even got a Renaissance-era dungeon with its own 300-year-old iron maiden. 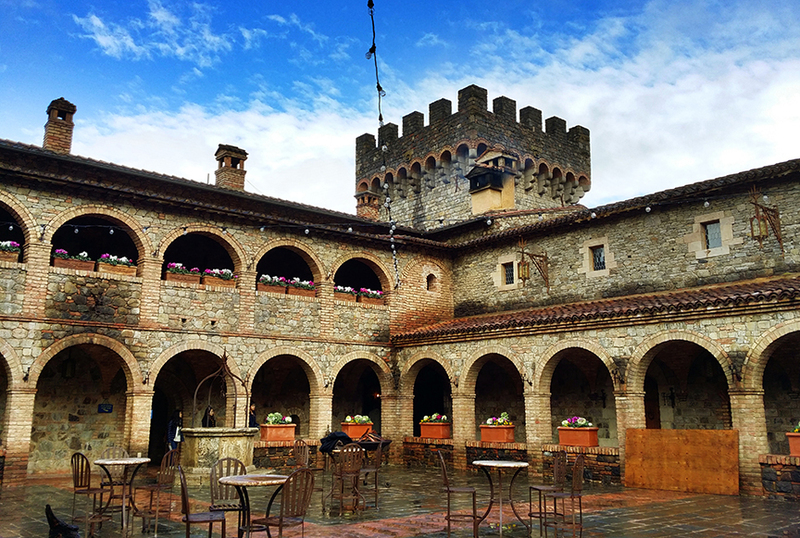 Fourth-generation vintner Dario Sattui spent years researching Europe's great castles before he dared to build his own on the edge of his Napa Valley vineyard. After finding experts who could train him in medieval building techniques, he began construction on Castello di Amorosa in 1994. Thirteen years later, on April 7, 2007, Sattui's hobby gave way to a grand opening. Since then, this palace has been receiving visitors and acclaim for its ambitious architecture and delicious wines. If there ever was a family that was American royalty, it was the Hearsts, who spun mining magnate George Hearst's fortune into publishing, politics, filmmaking, and a wealth of scandals. Their castle was so outlandish it became the inspiration for the "Xanadu" mansion in the classic film Citizen Kane. 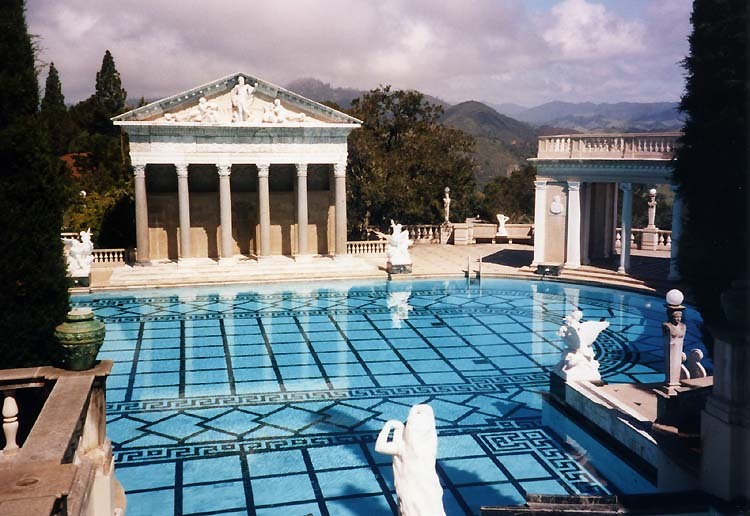 In 1919, congressman/newspaper publisher William Randolph Hearst looked upon the 13 miles of California coastline his father had bought years before for campouts, and told architect Julia Morgan, "We're tired of camping out in the open ... I would like to build a little something." That "little something" would become a 115-room castle that pulled inspirations from all over the world. Its structure mirrors a Spanish cathedral. 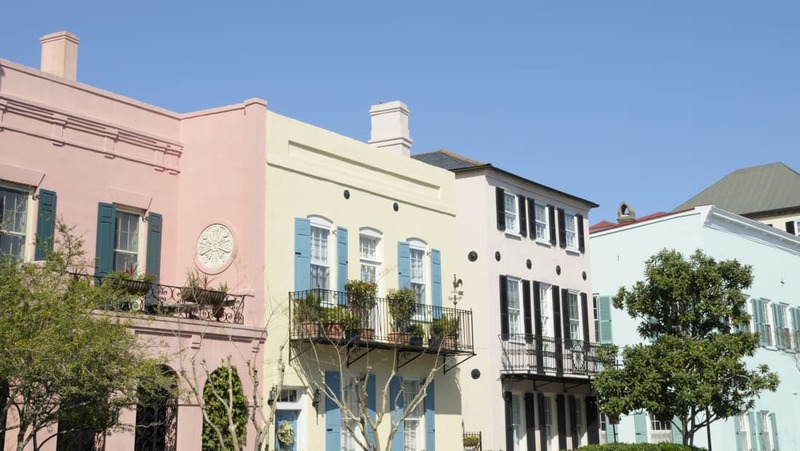 The guesthouses, which add another 46 rooms, are done in a Mediterranean Revival style. Egyptian Sekhmet statues stand on terraces, and the Neptune pool that holds 345,000 gallons of water is completed with a Roman temple pediment. And just for an added dash of dazzle, there's 127 acres of gardens, a zoo, a private airstrip, and enough art and artifacts that it now classifies as a bona fide museum.